It new design related to coffee and cake shop who want to increase their sales and make professional business in your locality. here, I have used yellow and brown color focusing with coffee, cake and restaurent. Design are more likely wide to support wide range of screen. It is in black color theme and suitable for those business who want to increase their sales 30% , keywords related with jewelry, ornament and stones store. Here, we have made design wide range and fit in all devices, such as large computer, laptop,tablets and smart phone. We have integrated devil slider in the front page . Here you can change images as your required. Prestashop Compatible on 1.5.6.1. It may compatible in latest version too. In front page we have integrated 3 banners for commercial use. 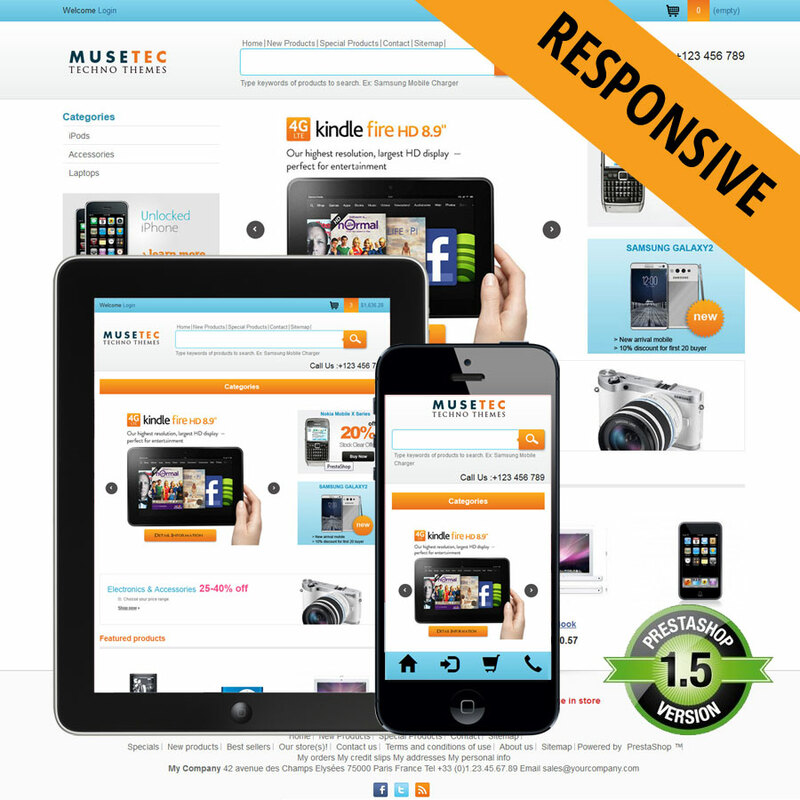 MuseTec 1.0 is responsible prestashop themes in blue color . It is specially suitable for gadget, computer parts, mobile store and all electronics parts and it does not takes more than 5 minutes to install. Here, we have integrated so many front slider banner to promote your products. Here, we have made 3 language compatible English, Spanish, French. You can do translate yourself through prestashop back office.